These demonstration sessions provide hands-on personal support and take place in classrooms, where consultants model lessons, student conferences, and/or small-group instruction. Teachers actively participate in this process by taking notes, asking questions, and reflecting on what they have observed and learned in order to fully understand and emulate best practices. Each day often includes two or three sessions with groups of teachers who are working to establish a collaborative, engaging environment in which literacy teaching and learning are authentic, ongoing, and responsive. A critical component to student learning is a deep understanding of effective literacy practices, reading and writing processes, state and/or national student expectations or standards, and how children learn best. Workshops, institutes, and courses are designed to deepen teacher knowledge and understanding so as to positively affect learning. 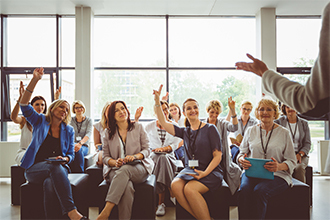 Workshop sessions are informational, engaging, and interactive, and they are full of valuable resources and practical information that will impact instruction right away. Teachers will leave each session with a clear vision of purposeful literacy instruction designed to promote student achievement. Workshop topics can focus on numerous and various topics related to ELA instruction; Schoolwide will work with you to identify potential areas of need. Schoolwide supports schools in establishing and sustaining their own Professional Learning Community (PLC) or Study Group. Educators who have participated in a book club know how the power of collaboration, collegial conversation, and study can lift the level of understanding. 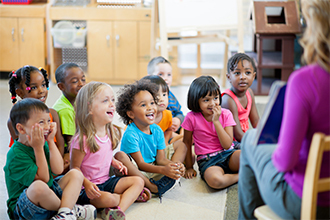 Our literacy consultants initially work collaboratively with educators to determine a focus for systematic inquiry and research and subsequently provide the necessary training and support to help school-based teams take ownership of the inquiry process. Schoolwide-facilitated PLCs and Study Groups typically utilize a variety of digital platforms to support and enhance continuous communication, information sharing, problem-solving, and celebrating.